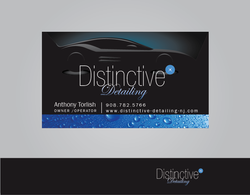 I offer the highest level of detailing service in Hunterdon, Somerset New Jersey and Bucks county Pennsylvania. My expertise is in paint correction to create a show car finish. Other Services include Paint Protective Coatings, interior dry steam cleaning and much more! I am a perfectionist and I have an unequaled standard of work. I was also a selected team member of Air Force One detailing team 2013. I have invested thousands of hours and thousands of dollars in training on how to correctly detail any vehicle.